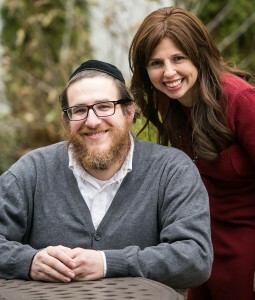 Rabbi Reuven Boshnack attended Yeshiva University, where he obtained his BS in Psychology, two Master’s degrees—one in education, the other in Mental Health—and semicha. Before working for OU-JLIC, Rabbi Boshnack served as a successful Rabbi and educator in Boca Raton, Florida. Along with his larger love for Chassidic writings, he has written and published a translation of the Sfas Emes on the parsha. Shira Boshnack is an educator par excellence, having graduated from Stern College for Women and Nova Southeastern University where she obtained her BA in Psychology and Masters in Education, respectively. A creative programmer and an energetic implementer, Shira enjoys teaching, cooking, and hosting upwards of seventy students in their apartment. Shira, is a Shadchan for YU connects, advocating for her students, and creating events that students can meet their Bashert in a comfortable environment. She is also a veteran Kallah teacher, educating her students for their next stage in life, with sensitivity and soul. Reuven’s sefer can be purchased here.